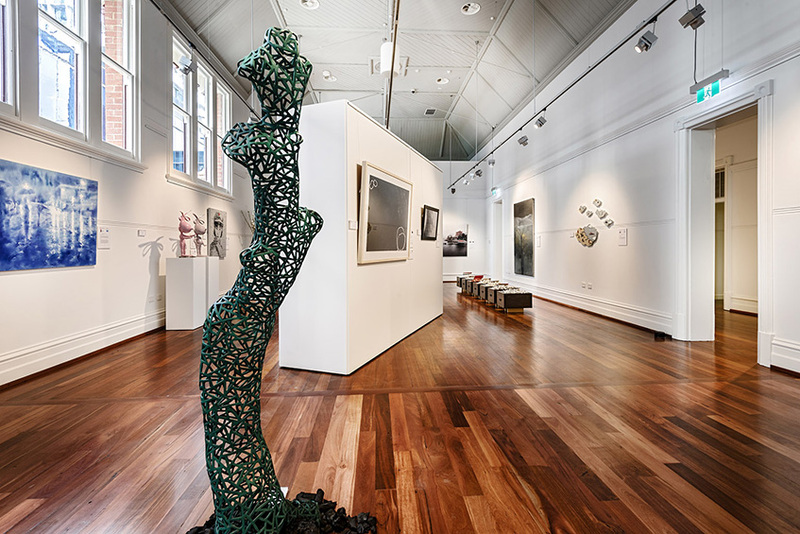 The new gallery for Linton and Kay is located within one of Perth’s architecturally iconic and historic buildings, the Perth Technical College on St Georges Terrace. Built by The Government Architect, Hillson Beasely in 1910, the three level red brick building is of federation gothic style and has been restored to its former glory in the heritage precinct of the new Brookfield Place Redevelopment. 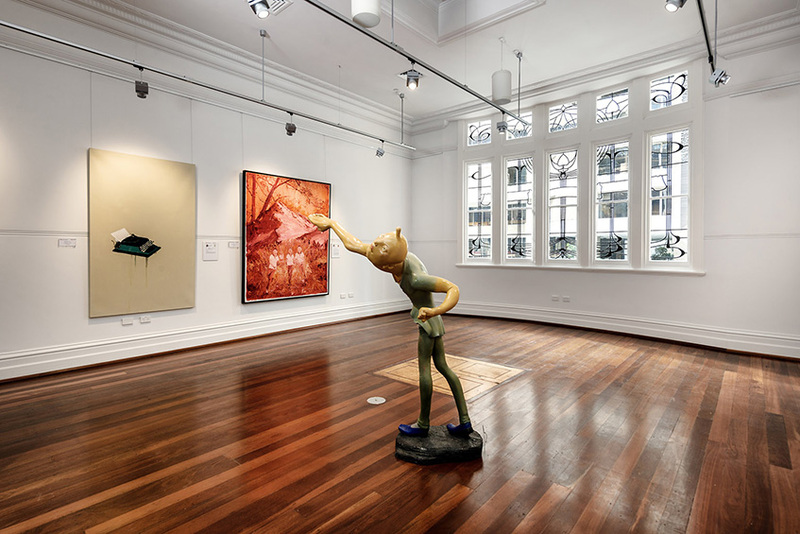 Linton and Kay Galleries is located on level 1 and comprises of three spaces that will showcase exhibitions as well as having the ability to hold events and functions. 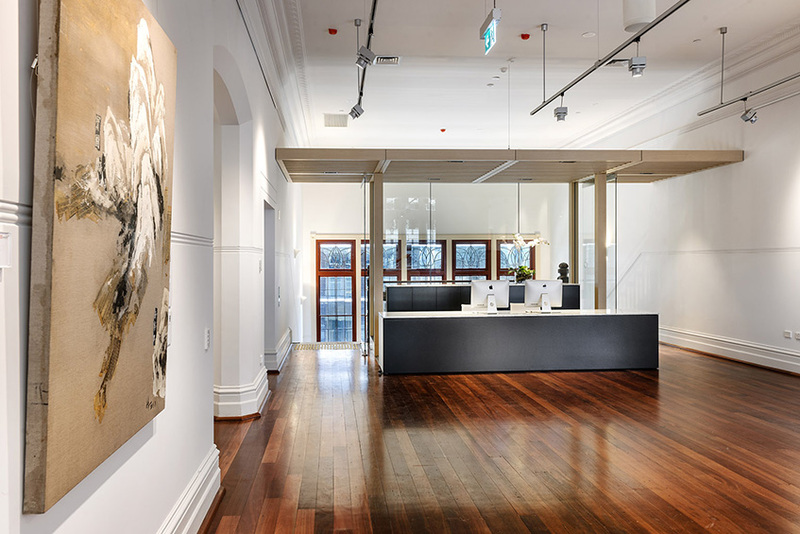 The interior design of the Linton Kay Gallery is sympathetic to the existing architectural style and with a ‘less is more’ philosophy, strong contemporary insertions are used to create the reception desk and art store in the building which both juxtapose and highlight the historic building fabric. The strong lines of the reception frame the entrances to the gallery at the top of the stairs and creates a ‘sense of arrival’. The art store is a black, irregular geometric unit that sits within Gallery two and serves to both store artworks internally and display art externally. 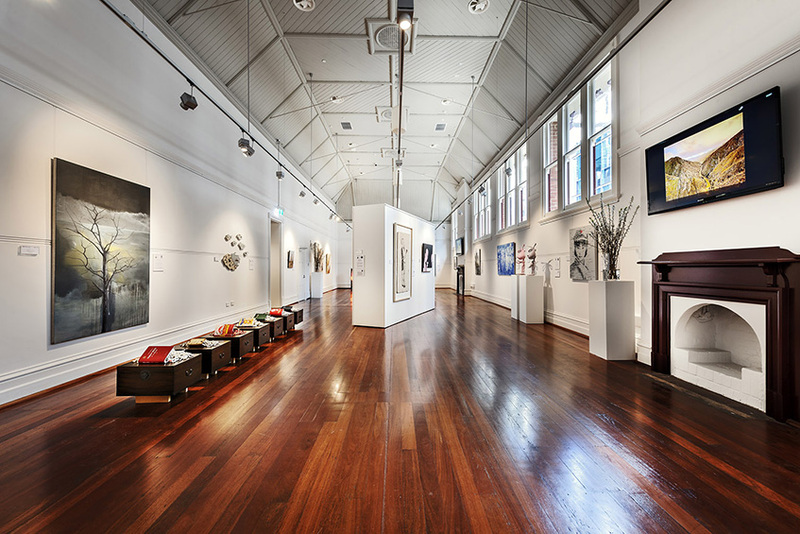 Lighting plays a fundamental role in a gallery space and was one of the most important components of the fitout. The lamp specified needed to meet all of the Clients requirements in terms of colour rendering, flexibility, lamp life, energy savings and aesthetic. 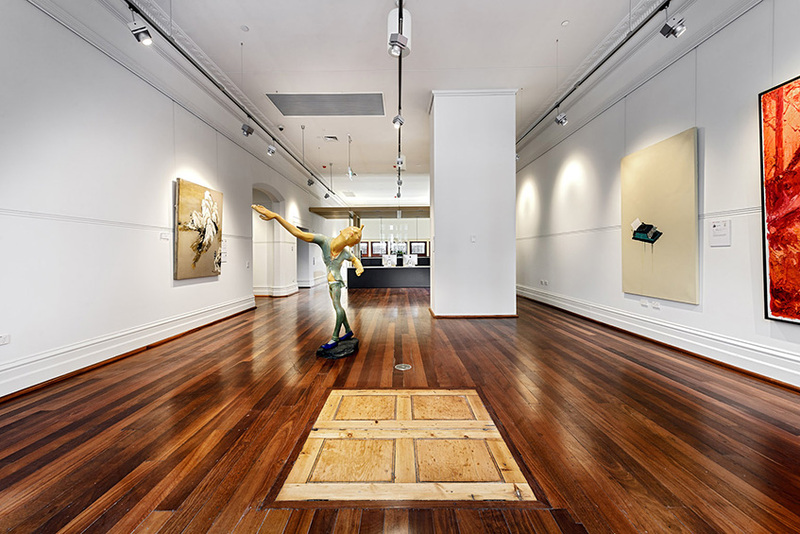 The selected product, IGuzzini’s Primopiano Projectors designed by Renzo Piano, are particularly suitable for art collections and exhibitions where light must enhance the quality of the objects being exhibited. These new-generation LEDs combine efficiency with low energy consumption and great light spectrum properties, and ensure the quality of light is perfectly matched with energy efficiency. With an aluminium die-cast body and super-pure aluminium reflector, this professional fitting is designed to fit a series of internal and external accessories creating numerous light effects and fulfilling the most diverse exhibition lighting requirements. 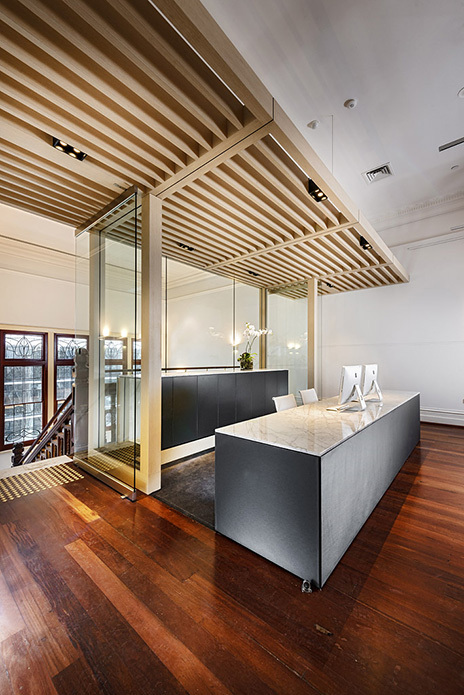 The new gallery for Linton & Kay will be the first in Australia to feature the Iguzzini Primopiano Projectors. Internationally, the Primopiano projectors have been used in noteworthy spaces such as ‘Luca Signorelli. De ingegno et spirto pelegrino’ exhibition at the National Gallery of Umbria, Perugia.